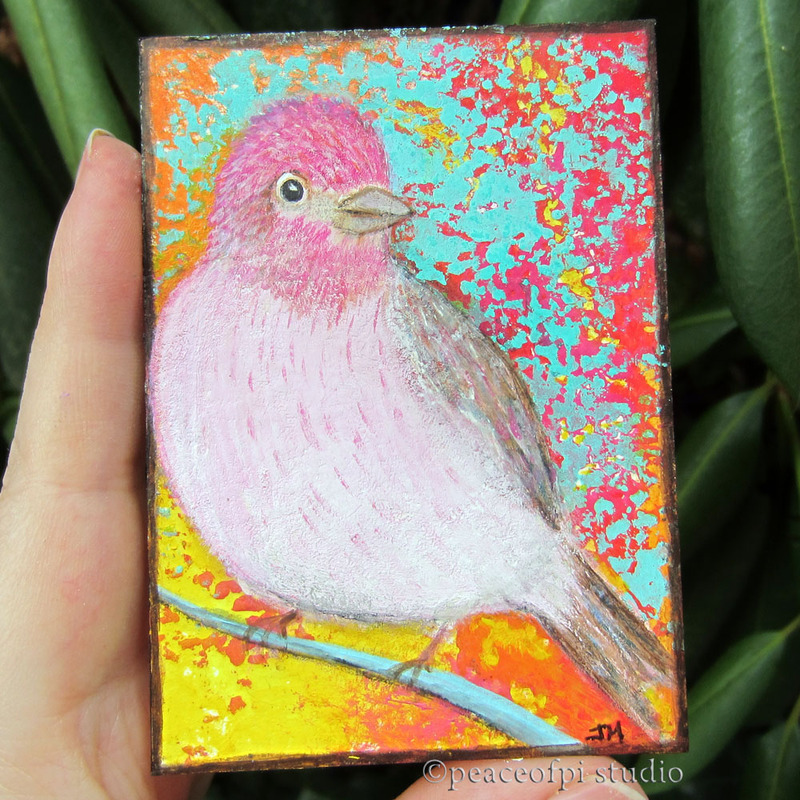 A finch with feathers in shades of pink is the latest painting in the miniature series. The background is sunny and vibrant in turquoise, fuchsia, orange and yellow. Trading card size at 2.5 X 3.5 inches, this painting fits right in your hand. This ACEO,* if off to fly to it's new home.